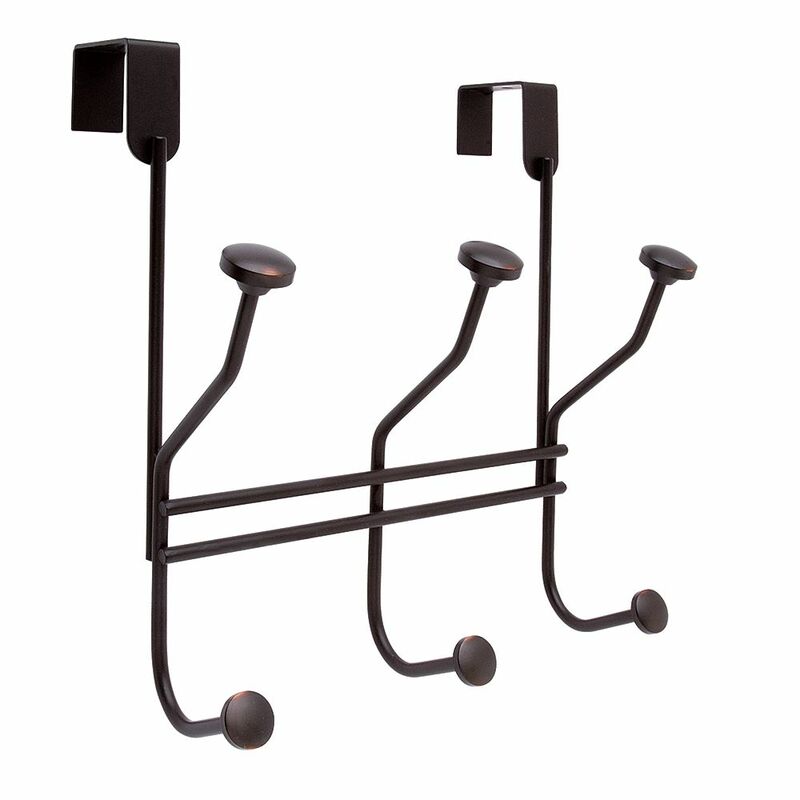 The Amerock HR55548ORB Decorative Hooks Over the Door Multiple Hooks Rack is finished in Oil-Rubbed Bronze. Use to hang clothing, robes, towels and more. The Oil-Rubbed Bronze finish is a rich, dark brown old world finish with striking light and dark accents. The Amerock H55457CBZ Double Prong Individual Hook is finished in Caramel Bronze. Single hooks are most versatile and can be mounted into wood surfaces and drywall. Amerock's Caramel Bronze finish has a rich dark brown hue with a hint of burgundy and subtle copper undertones. Command Metal Hooks are available in a variety of styles and finishes to match your dicor. They also come in a variety of sizes and hold a surprising amount of weight, up to five pounds! Command Damage-Free Hanging Hooks hold strongly on a variety of surfaces, including paint, wood, tile and more. When you are ready to remove your Command Hook, it comes off cleanly without damaging surfaces with holes, marks, sticky residue or stains. Smart Hooks; gentle on your clothes. Domed surface gently supports today's knit and fleece fabrics. 50% larger than traditional hooks with longer 1-1/4-inch screws. Over-the-Door Multiple Hooks - Oil-Rubbed Bronze The Amerock HR55548ORB Decorative Hooks Over the Door Multiple Hooks Rack is finished in Oil-Rubbed Bronze. Use to hang clothing, robes, towels and more. The Oil-Rubbed Bronze finish is a rich, dark brown old world finish with striking light and dark accents.